Anyway, this time, I interviewed Jemma, more commonly known as Dorkface, the founder of The Girl Gang community. Q: As a founder of #TheGirlGang can you share how did you come up with the idea? And what convinced you into making it “go live”? 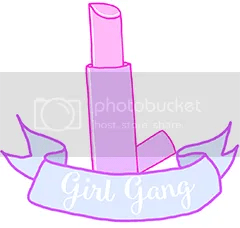 Q: What is the Girl Gang community about? Its all about spreading positivity when we can, supportive people who deserve it, and basically having a bit of fun! Q: When you first started The Girl Gang, did it become the “big hit” right away or is there a lot of hard work behind the scenes of its success? Admittedly, it blew up overnight! I genuinely couldn’t keep up with it. But that actually made it harder! I have had to work so so hard all the time to build up this community. Whether its weekly chats organising an event, getting in touch with brands, keeping a monthly newsletter going, creating movie nights and building up a twitter account. It’s constant work but I love it. Q: Would you say you’re proud of the community? Definitely! It’s a privilege to be part of it. For me, the best thing has been creating the girl gang. The worst? ….. I don’t know. Just in general when people argue? But that’s always going to happen, it’s natural. Q: Is there anything special planned for the future of The Girl Gang? YES! I can’t reveal though yet sorry haha. But it will continue to grow. Loved this interview , she’s definitely amazing! I have seen the hashtag before online now I know the face ! Thanks for sharing.